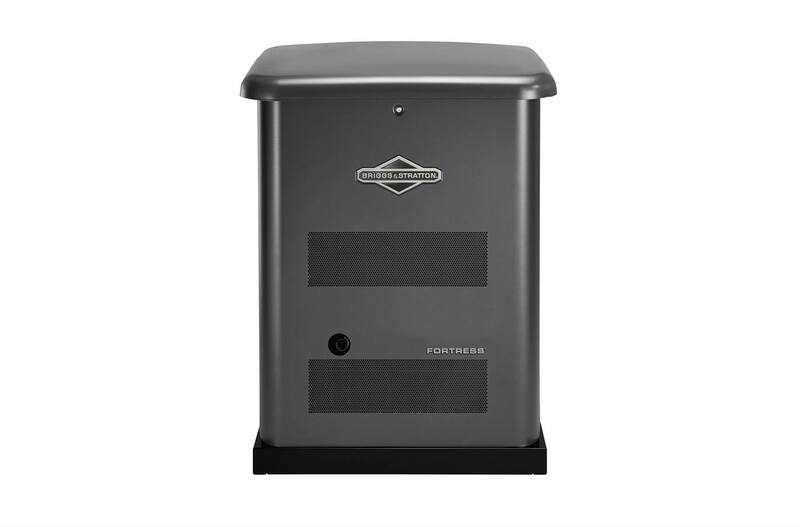 With its sleek, compact profile, the 12kW1 Home Standby Generator adds new dimension to “Powering More for Less." Now 60% Quieter*: Powered by our high-quality Vanguard engine, improved muffler design and re-engineered alternator intake ducting, the new 12kW is 60% quieter than our old 12kW. Streamlined, Space-Saving Design: With the streamlined, compact design, the new 12k2W is 50% smaller than our previous 12kW generator. Flexible Placement3: Have a tight lot line? Worried about your curb appeal? Install your generator as close as 18" for your home. Our generators are in compliancy with the stringent National Fire Protection Agency 37 standard. *Based on no-load sound power. Not for Prime Power or use where standby systems are legally required, for serious life safety or health hazards, or where lack of power, hampers rescue of fire-fighting operations.This generator is rated in accordance with UL (Underwriters Laboratories) 2200 (stationary engine generator assemblies) and CSA (Canadian Standards Association) standard C22.2 No. 100-04 (motors and generators)3Installations must strictly comply with all applicable codes, industry standards, laws, regulations and provided installation manual. Running engines give off carbon monoxide, an odorless, colorless, poisonous gas so it is important to keep exhaust gas away from any windows, doors, ventilation intakes or crawl spaces. The installation manual contains specific instructions related to generator placement in addition to NFPA 37, including the requirement that Carbon monoxide detectors be installed and maintained in your home.